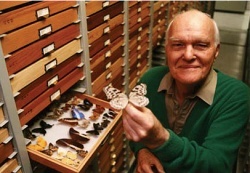 The R. M. Bohart Museum of Entomology founded in 1946, is located on the University of California, Davis campus. The museum is dedicated to teaching, research, and service. They have the seventh largest insect collection in North America, which is worldwide in coverage. The collection holdings total more than seven million specimens, and focus on terrestrial and fresh water invertebrates. The museum is also home of the California Insect Survey, a storehouse of the insect biodiversity of California’s deserts, mountains, coast, and great central valley. The C.N. Gorman Museum was founded in 1973 by UC Davis’ Department of Native American Studies in honor of retired faculty member, Carl Nelson Gorman, Navajo artist, WWII code-talker, cultural historian, and advocate for Native peoples. As a founding faculty member of Native American Studies, Gorman was the first faculty member to teach Native American art at UC Davis in 1969. For more than thirty-five years, the C.N. Gorman Museum has been dedicated to the creative expressions of Native American artists and artists of diverse cultures and histories. The museum’s reputation of artistic excellence is proven by its company of exhibiting artists, including some of the most established Native artists as well as the next generation of emerging Indigenous artists. The C.N. Gorman Museum is unique for its commitment to exhibiting work by living Indigenous artists, particularly within an educational institution. 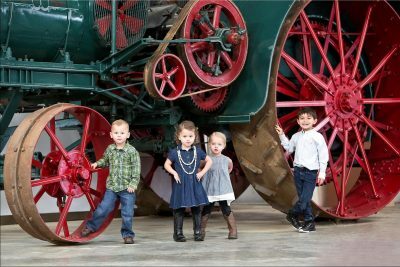 The California Agriculture Museum is home to the nation’s most unique collection of tractors and artifacts. Interactive exhibits tell the history of farm to fork, dating all the way back to the Gold Rush. Hear local storytellers tell how California food producers did things bigger and better–evolving from horse drawn, to steam driven, to fuel powered machines, eventually becoming the state’s economic driver. Learn how farming brought a variety of heritages and cultures to one region, to prosper together in this bountiful land. Fun and educational for the entire family. Explore the history of the automobile and its influence on our lives — past, present, and future. Enjoy the California Auto Museum’s exciting collection of over 150 classic cars, race cars, muscle cars, and early models displayed throughout 72,000 square feet of museum space. Buy an auto-related souvenir in the gift shop, enjoy a soda in the ’50s style Vic’s Ice Cream vignette, and take a few pictures next to your favorite cars! The California Foundry History Museum is housed at Technikon, LLC facility on the McClellan Business Park. Technikon is a full-functioning modern foundry specializing in metal casting research. The museum includes a wide variety of beautifully displayed photos and written history dating back 150 years to the Gold Rush, the beginning of California’s rich foundry history. The museum offers a wealth of visual displays and information about the casting process, general California foundry history, and casting uses in transportation, defense, water control, and recycling. The California Museum, home of the California Hall of Fame, is a cultural destination dedicated to telling the rich history of California and its unique influence on the world of ideas, innovation, art, and culture. 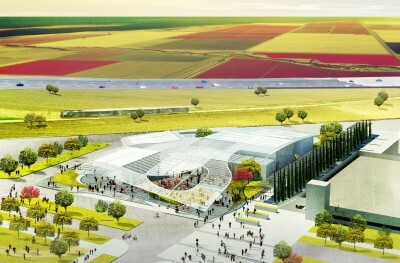 The mission is to inspire through educating tens of thousands of school children; sharing California’s rich art, history, and cultural legacy with world visitors through dynamic exhibits; and serving as a public forum and international meeting place. The California Raptor Center (CRC) is an educational and research facility dedicated to the rehabilitation of injured and orphaned birds of prey (raptors). The CRC is a unique facility that combines education, research, and conservation. This center provides care for about 200 raptors per year and 60% of the raptors are released back into the wild. The museum and a permanent collection of living, nonreleasable raptors are open and viewable to the public. The California State Military Museum, the official military museum and historical research center of the State of California, is located in the Old Sacramento State Historical Park. The museum houses over 30,000 artifacts as well a substantial library and archives. In addition to the main facility in Sacramento, the museum also has five satellite museums at Camp Roberts in southern Monterey County, Camp San Luis Obispo, Fresno Air National Guard Base, the Los Alamitos Joint Forces Training Base in Orange County, and the National Guard Armory in San Diego. The museum also maintains relationships with the Aerospace Museum of California at the former McClellan AFB in North Highlands and the Sons of the Revolution in the State of California Library in Glendale. Note: The museum is now closed. Center for Sacramento History (CSH) is a historical research center for the Sacramento region. While it maintains museum and archival collections, making them available for study and exhibition, it does not currently maintain on-site permanent display areas as is traditionally found at a museum. The Center’s staff does create exhibitions and displays; however they are primarily exhibited at the Sacramento History Museum and public display areas of local government buildings. 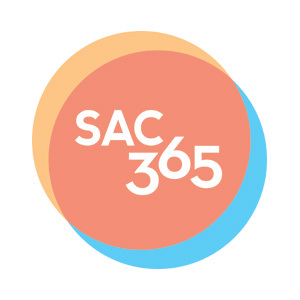 The Center is the official repository for the archival, or non-current, records of the City and County of Sacramento; the preservation of these public documents is often required by state and federal law. The Center also maintains privately donated manuscripts and personal papers from individuals, businesses, and organizations in the community. 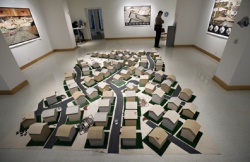 The Center’s museum collections are artifacts, or three-dimensional objects, which also document the lives and activities of the residents of the Sacramento region. Inspired by California’s unique and rich history of pharmacy, the Donald F. Salvatori California Pharmacy Museum celebrates the role of the pharmacist in the promotion of health and well-being of Californians since the state’s inception in 1850. A tour of the museum will take you through three distinct time periods in California history: the late 1800s, the 1940s, and the present. Dive into engaging, hands-on science in the frequently changing exhibits, which are fun for all ages. Explorit also offers special events on weekends, birthday parties, a chance to meet live animals, and science goodies from the gift shop. Let your imagination run wild at Fairytale Town, a 2.5-acre children’s park that brings fairytales and nursery rhymes to life. Over 25 bright and colorful play sets give young children a backdrop to act out their favorite stories, to encourage creative discovery, and to exercise on child-friendly slides throughout the lush grounds. 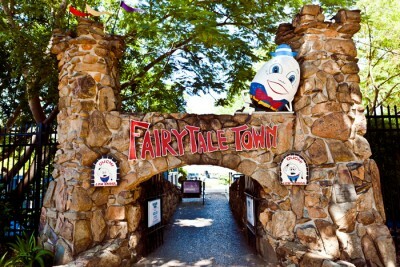 Located in William Land Park in Sacramento, Fairytale Town has delighted millions of guests, inspiring imagination, creativity, and literacy since it opened in 1959. 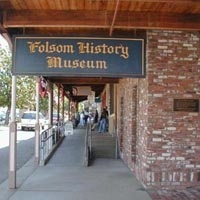 Operated by the Folsom Historical Society, the Folsom History Museum is located in Historic Downtown Folsom. It is home to a wonderful collection of artifacts and treasures that chronicle the settlement and development of the Folsom area. You’ll see fascinating and educational exhibits throughout the year along with special events highlighting the Gold Rush era and Folsom’s history. The goal of the Folsom Historical Society is to preserve the past. The Folsom History Museum archives exist to collect, preserve, and make available historical records and documents for public research. 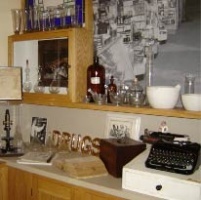 The Museum’s collection illustrates various aspects of Folsom’s rich history. The History Museum focuses on exhibits about Folsom’s native people, the discovery of gold and the formation of mining camps, ethnic groups who contributed to this area, the formation of the town, railroad, prison, powerhouse, and later efforts at gold mining. 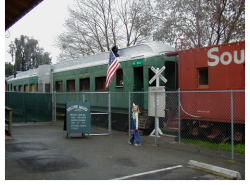 Run by the Folsom, El Dorado, and Sacramento Historical Railroad Association (FEDSHRA) the Folsom Railroad Museum is located by the Train Depot on the railroad block in Historic Old Folsom. The site also boasts a reconstruction of an "A" frame or "gallows" type turntable used to turn locomotives, originally erected in 1867. Built in 1877, the Governor’s Mansion is a regal Victorian mansion, filled with historic furnishings, that was the home to 13 of California’s governors from George Pardee in 1903 until Ronald Reagan took office in the late 1960s. While the Capitol acted as the office, this mansion acted as the family home. Enjoy the opulently decorated rooms while learning all the tales, secrets, and mischief of the families that lived there. Fourteen-foot ceilings, Persian carpets, Italian marble fireplaces, chandeliers, and French mirrors grace the mansion. Guides tell stories of California’s governors and their families. Dedicated to the belief that education and the arts should be accessible to all people, and building upon the celebrated history of irreverence and iconoclasm in the visual arts by the distinguished faculty and alumni at UC Davis, the new museum is to be a welcoming and open forum for experimentation and the exploration of new ideas by artists and the broad range of diverse cultures that make up the campus and region. Leland Stanford, former California governor, railroad tycoon, and founder of Stanford University, purchased what would become this elegant mansion for $8,000 in 1861. A recent restoration has recaptured the mansion’s Victorian grandeur. Serving as the governor’s office prior to the opening of the State Capitol, today it is the State’s official location for diplomatic and protocol receptions, but non-diplomats can enjoy its grandeur on daily tours. The Maidu Museum & Historic Site offers a unique cultural haven for families and individuals who want to experience the life ways and culture of the Nisenan Maidu who called this location home for thousands of years. While the Museum presents interactive exhibits and displays, the outside trail wanders through the Historic Site and offers visitors a chance to see the lasting cultural landmarks via hundreds of bedrock mortar holes and deeply carved petroglyphs. Mayahuel, on Sacramento’s historic K Street, is a tequila museum, featuring a restaurant, bar, and lounge. At Mayahuel, you don’t just drink tequila…you experience it! Tequila represents much about Mexico’s proud heritage and its people, culture, art, and livelihood. 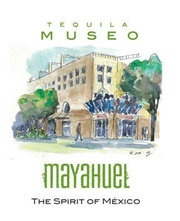 Mayahuel’s menu, artwork, store, and monumental tequila selection captures and delivers a unique blend of that ancient tradition with a contemporary eye towards what’s fresh and on the horizon. 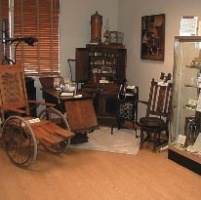 Experience the evolution of medicine from the Gold Rush to today in this unique museum presented by the Sierra Sacramento Valley Medical Society. Exhibits include an iron lung, patent medicines and pharmacology, antibiotics and infectious diseases, Asian medicine, nursing, radiology, quackery, and plenty of other tools that will make you grateful for today’s modern medicine.